This morning in New York City, Motorola CEO Sanjay Jha took the stage to announce MOTOACTV. 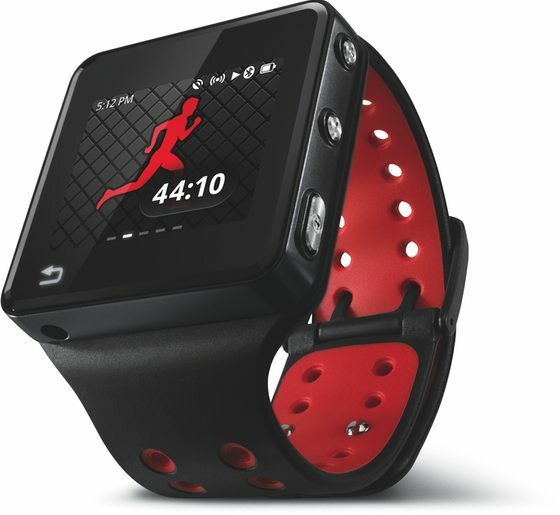 The 46mm device is powered by an unspecific version of Android and tracks your fitness regiment – pace, distance, route, and calories burned. The device is waterproof and entirely wireless, including an MP3 player, FM radio, and a heart-rate monitor. The device sports a 600MHz processor and a 1.6-inch full color touch-screen display. One of the more unique features is the ability to sync with your Android-powered smartphone to receive both incoming text and calls. Unfortunately, Motorola has again overpriced a very appealing device. The MOTOACTV starts at $249 and will be available in both 8GB and 16GB model on November 6. Additionally, Motorola sports headphones that are also sold separately and will be priced at $99 and $149. A very similar looking top of the line iPod Nano will only run you $149 dollars – has Motorola created a game changer or another overpriced device? Heart pumping, thighs burning and five laps to go. You need a serious soundtrack to get you through. MOTOACTV can rock up to 4,000 of your favorite songs while tracking your every move, from the Rockies to the gym. Ultra-portable, you choose the way you want to wear MOTOACTV: strap it on your wrist or arm, clip it to your shirt or mount it on your bike during an outdoor ride2. Beginning today, consumers can pre-order MOTOACTV at www.motorola.com, Amazon.com, Bestbuy.com®, REI.com and SportsAuthority.com. Starting on November 6, 2011, MOTOACTV will be available for sale at Best Buy®, Eastern Mountain Sports, REI, The Sports Authority and online at Amazon.com, with other retailers following shortly. MOTOACTV will also be available in Latin America and Europe starting in Q1 2012. For more information about MOTOACTV, please visit MOTOACTV press kit.